100% cotton 500gm2 (15oz.) fabric makes this uniform extremely comfortable for routine use. 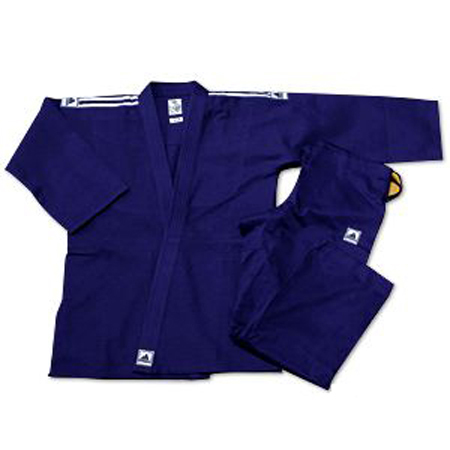 The single weave grain for the gi top is created in traditional jiu jitsu fashion and is ideal for gripping and throwing. 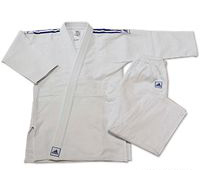 Unlike karate gi, there are no ties to keep the top in place - only the jiu jitsu obi (belt). This a strategic decision as gi ties would quickly get yanked out after multiple throws. The gi bottom are comfortable and flexible with added lines of stitching around the knees to increase durability during grappling. - adidas patch on the lapel. - adidas patch on the hip of the pants. 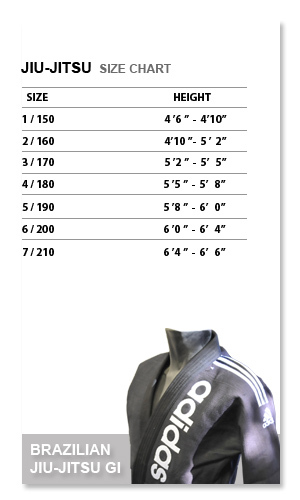 -Sizes 000 through 1 have an Elastic waist plus an internal drawstring. -Sizes 2 through 7 have a Draw-string waist band. 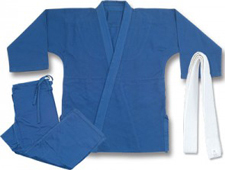 Set includes: Jacket & Pants (No belt).